ReFEx (Reusability Flight Experiment) aims to demonstrate suborbital and transonic flight of a reusable winged VTHL (Vertical Take-off, Horizontal Landing). It’s planned to begin testing campaign in the second half of 2021. The vessel will be launched on a Brazilian VSB-30 sounding rocket in an Australian Woomera Range Complex. Return trajectory will overlap with a number of other studied winged boosters, notably SpaceLiner and a Liquid Fly-Back Booster that DLR has been investigating in the past as an option for Ariane 5. The primary goal of the ReFEx is to test guidance, navigation and control systems – all the way from hypersonic reentry to subsonic and then landing. ReFEx will also carry a number of other experiments, such as aerodynamics and self-diagnostics. In total at least 3 launches are planned (ReFEx A, B, and C). Callisto (Cooperative Action Leading to Launcher Innovation in Stage Toss-back Operations) is a joint project between DLR and CNES demonstrating Europan capability in the VTVL boosters. Unlike other similar demonstrators or suborbital rockets, Callisto will perform non-vertical flight spanning large altitude changes. It’ll demonstrate more demanding flight profile than either SpaceX Grasshopper or Blue Origin New Shepard. In total at least 5 flights are planned from the French Guiana sounding rocket site. Each will incrementally introduce more demanding flight regime and additional risks. The demonstrator will be powered by JAXA-provided 40kN-class LOx/LH₂ reusable rocket engine. Callisto completed System Requirement Review in February 2018, while the completion of Phase C (Design & Development) is planned for 2019 and the Phase D (Production) in 2020. First shown on ILA 2018, RLV-Demo will be a suborbital demonstrator for multiple reuses, capable of atmospheric flights at the speed of Mach 10. Currently, a number of proposals with different engines are considered, including reusable liquid methane engine Prometheus. One shown on ILA 2018 is a smaller one, dimensions of which can be seen in an attached table. The primary purpose of the RLV-Demo is to demonstrate the full flight envelope of a reusable first stage. It will also allow gaining much-needed experience with high-speed reusable rocket stages. 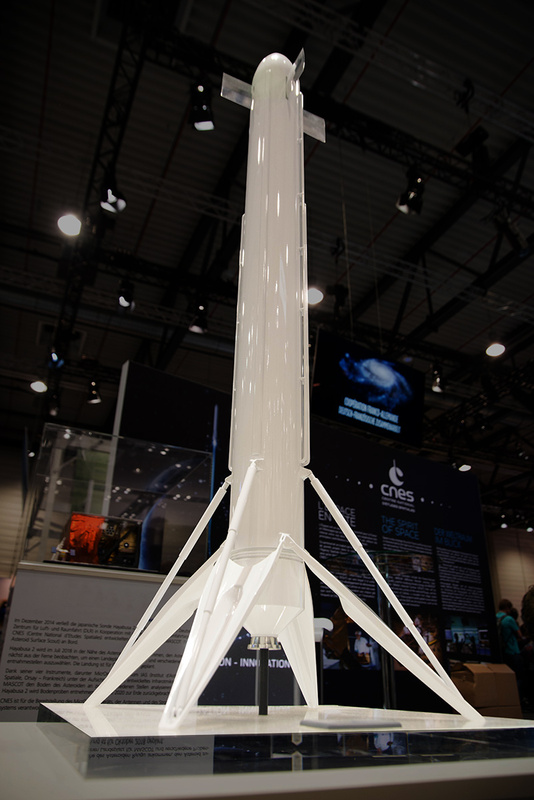 It’s a German proposal for European THEMIS-demonstrator, which is planned as a testbed for large-scale rapid reusability. 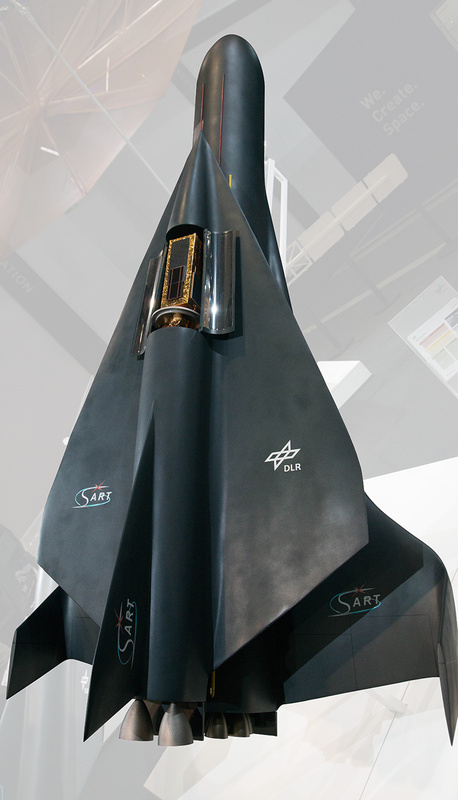 An intermediary launch vehicle that, much like RLV-Demo, was first presented at ILA 2018. Currently, a number of possible scenarios are being studied, with a baseline design is presented here. Due to having no airstrip down-range, spaceplane will have to be captured mid-flight and towed back to the airstrip in Kourou by a large jet plane. While this solution might be surprising, it’s not much different from a well-developed and regularly conducted airborne refueling. 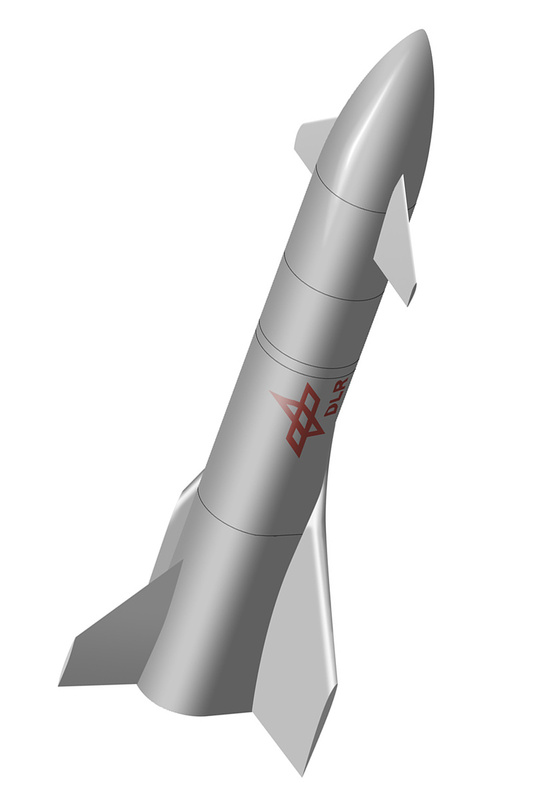 The primary purpose of this design is to gain early operational experience with high-speed reusable rocket stages. SpaceLiner is a two-stage fully reusable spacecraft available in two configurations: satellite launch vehicle and a suborbital passenger transporter. 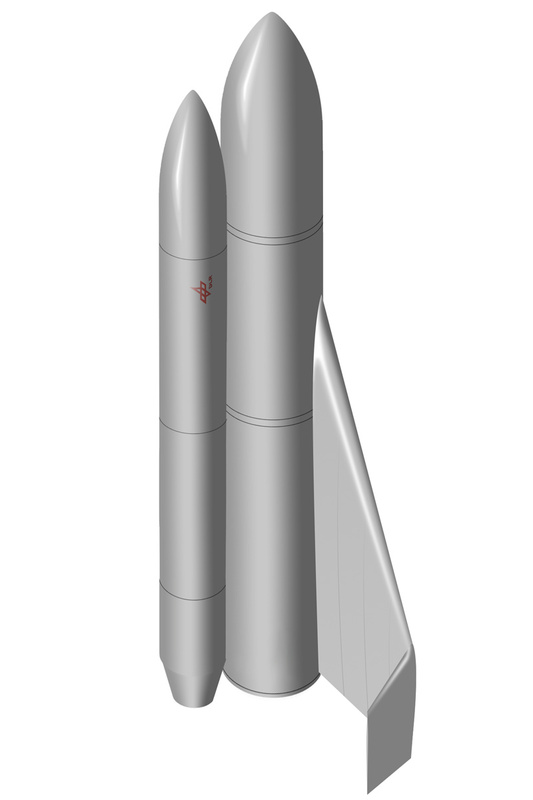 In a launcher configuration booster will have a lift-off will weight of 1467 tonnes, with a 309-tonne orbiter on top. 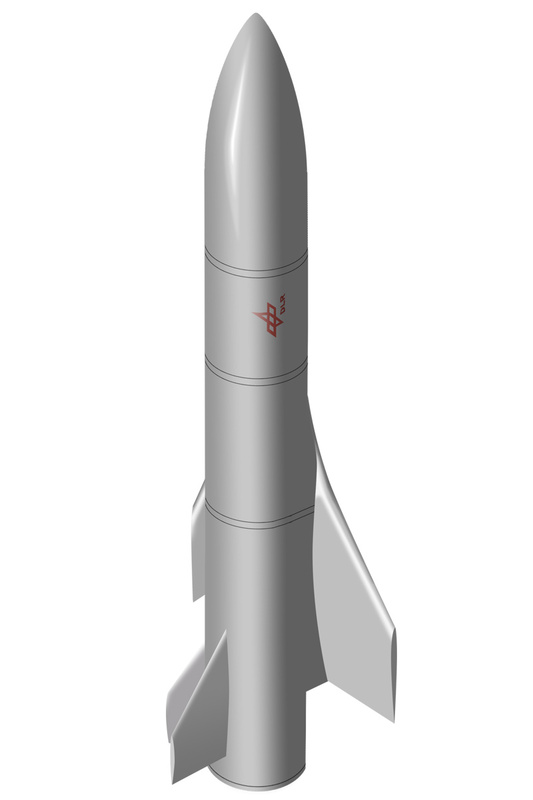 After vertical take-off booster will put spaceplane on a suborbital trajectory, with an apogee above 100km. Upon separation spaceplane would thrust into an elliptical “orbit” of 250x30km, where it’d deploy cheap, expendable kick stage pushing satellites into Geostationary Transfer Orbit. Spaceplane itself, after completion of a single orbit, would reenter to land on an airport next to the launch site. Conservative estimates of a satellite launch costs put them below €16.5M, making it by far the cheapest heavy satellite launcher on a market, significantly outcompeting all currently announced heavy launchers. Being a dual-purpose spacecraft allows it to increase production numbers even with a limited market for commercial satellite launches. Find more about the project on SpaceLiner’s DLR pages. The latest paper I have on CNES’ Ariane NEXT proposal is from 2016. I am not aware about any major technical updates published recently. This CNES proposal is still at an early technical stage and no development program on Ariane NEXT has been decided or is due in the near term. On DLR-side a large number of different technical options for European RLV 1st stages as the next generation European launcher are under systematic investigation. A paper on some results will be published at IAC 2018. The German position on one or more promising concepts will be based on these investigations. We are continuously in exchange with CNES on launcher concepts and intent to discuss a potentially common proposal in the future. From our perspective an operational target date of 2030 is not realistic under current European constraints and considering the not yet finished Ariane 6 development and industrial production ramp-up. 2035 is probably a little bit more realistic for a completely new next generation vehicle. Then the Semi-RLV of our roadmap is more in competition with the Ariane NEXT proposal. That’s by purpose because the debate in Europe is by far not finished. DLR strongly believes that the next generation launcher of the 2030s needs to be technologically more ambitious than a copy of Falcon 9 or Falcon Heavy. As always – we encourage you to research the subject further in the latest science papers. Remember that those are the proposals in varying stages of development and all of them are a subject of change as additional studies are completed and projects move further. At the moment of writing this article we’re certain that Callisto will fly, ReFEx is very likely, but others are still to be approved. In a next article of the series, we’ll present a path to the heavy reusable launcher from the French Space Agency, CNES.